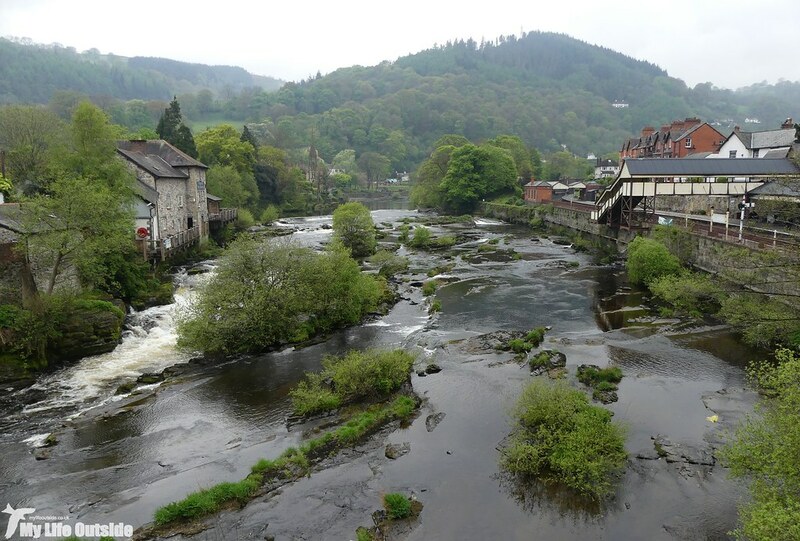 It's finally time to finish off the blogs from our Llangollen trip which, contrary to what you may have read thus far, wasn’t all about the birds. Between Black Grouse leks and Tree Pipit encounters we also managed to squeeze in over twenty miles of walking. Our exploration of Llandegla forest was seven miles alone, and that’s not including the short trip out earlier that morning to enjoy panoramic views across the Llangollen valley. This vista was just up the road from our base of operations in Trevor and you can’t fail to notice nor be impressed by the huge limestone escarpment that dominates its surroundings. In the past I’ve found a good selection of fossils here but on Sunday it was Castle Dinas Bran which drew our attention. 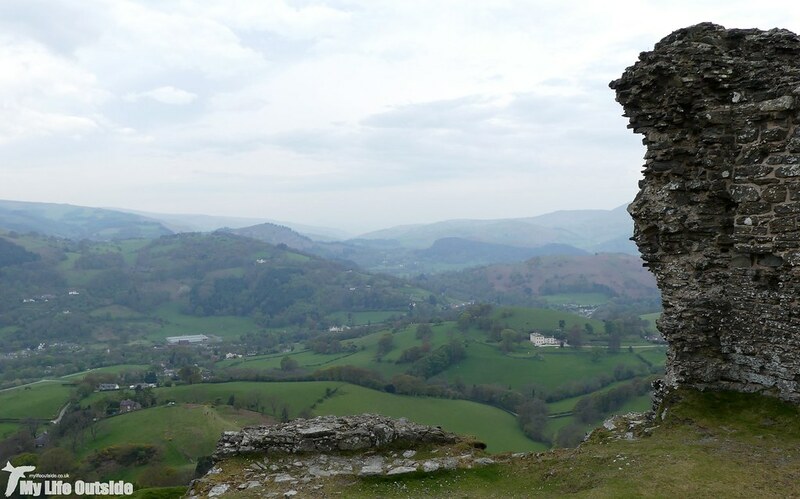 The plan was to conquer its slopes before dropping down into Llangollen, follow the canal to Horseshoe Falls then pick up the Clwydian Way past Valle Crucis Abbey before returning along a short section of Offa’s Dyke. It’s a route we’ve walked before and thoroughly enjoyed though last time conditions were decidedly warmer and sunnier. 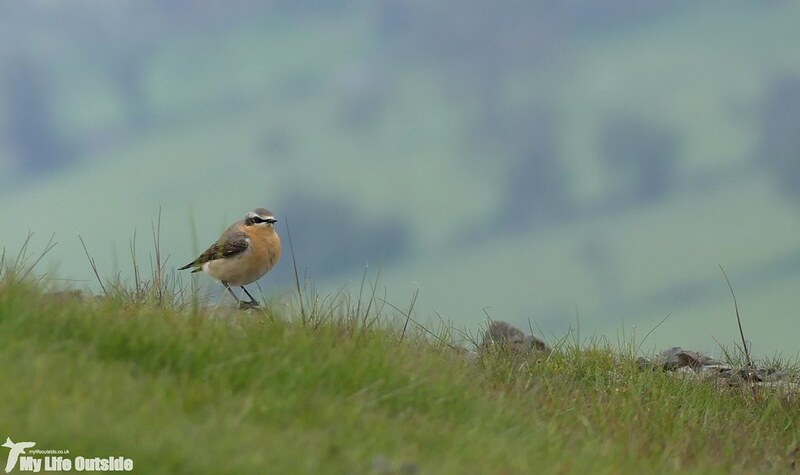 That didn’t seem to deter this Wheatear however which must have been wondering why on earth it hadn’t stayed in Africa. Conditions being as dull as they were leant a suitably gloomy atmosphere to the ruins. I’ve loved this place since I was a kid, my first sight of its walls high above the A5 a sure sign that we were officially on holiday. I still get that sense of excitement and anticipation now some twenty odd years later, though I must admit a tang of disappointment at discovering that it’s not an abandoned church as I’d always imagined. Something about a ruined church out in the middle of nowhere really appealed to younger me. Having dropped steeply back down into Llangollen the level canal path came as welcome respite as we followed its course up to the falls. 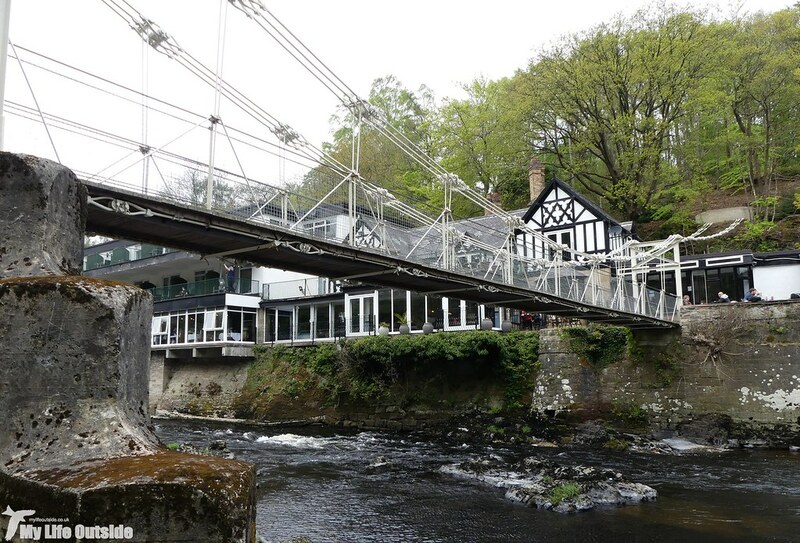 Along the way we passed Chainbridge Hotel, notable for its completely inappropriate architecture in such a beautiful area and also for the suspension bridge whose name it borrows. Only recently reopened having been closed for almost thirty years it was fantastic to be able to walk across once more, though I’m sure we may have bent the rules a little back in the day. 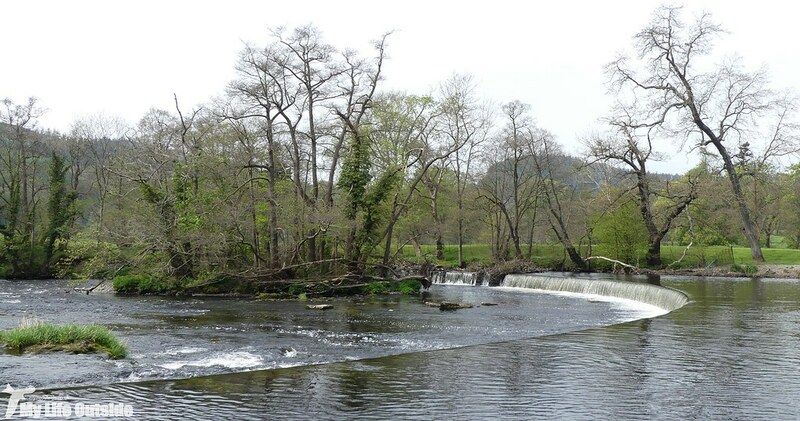 From here the Horseshoe falls are just a short walk away. 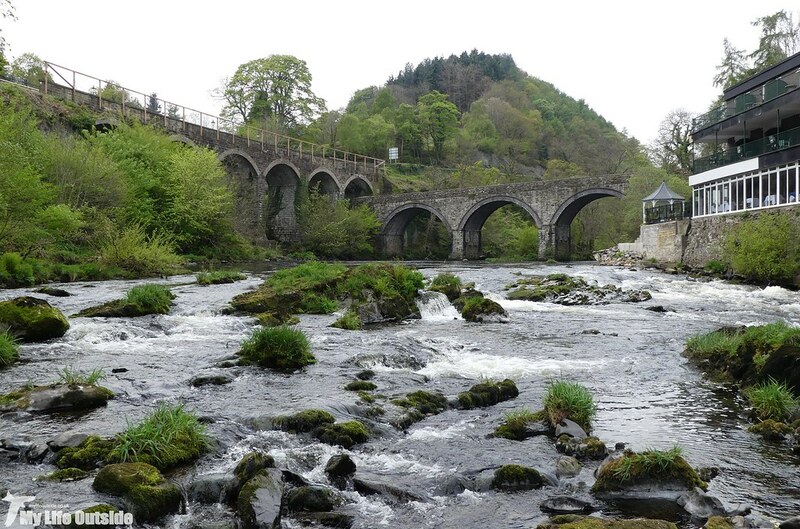 Built in 1808 to a Thomas Telford design the weir diverts some 13.7 million gallons of water a day from the River Dee into the canal system and all the way down to Wolverhampton. 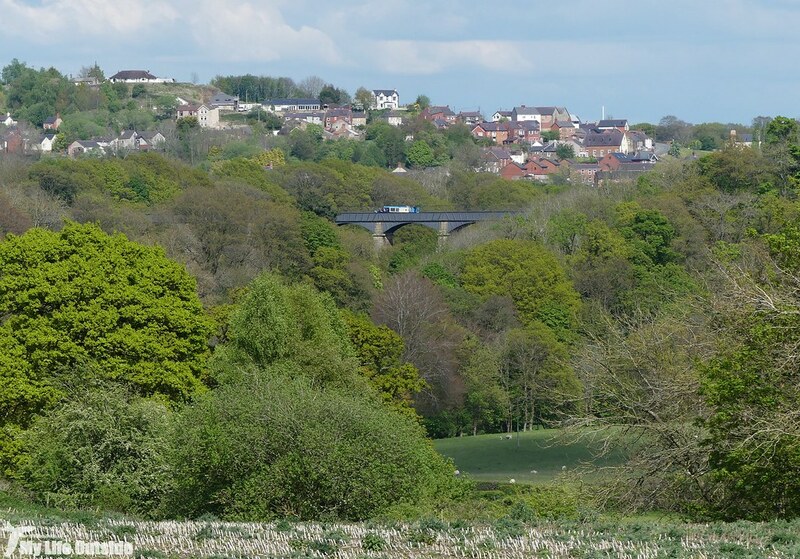 Indeed it was this supply of water which saved the canal system here from closure in 1944 and preserved the aqueducts at Chirk and Pontcysyllte until they could be declared a World Heritage Site in 2009. Retracing our steps a little we then cut north, passing by the ruins of Valle Crucis Abbey and spotting a nice White Wagtail in the process. The local Pheasants were also putting on a good show of strength but I was more taken with this Magpie. It was hopping on top of a herd of resting Cows, to various degrees of hostility it has to be said, presumably in search of insects. 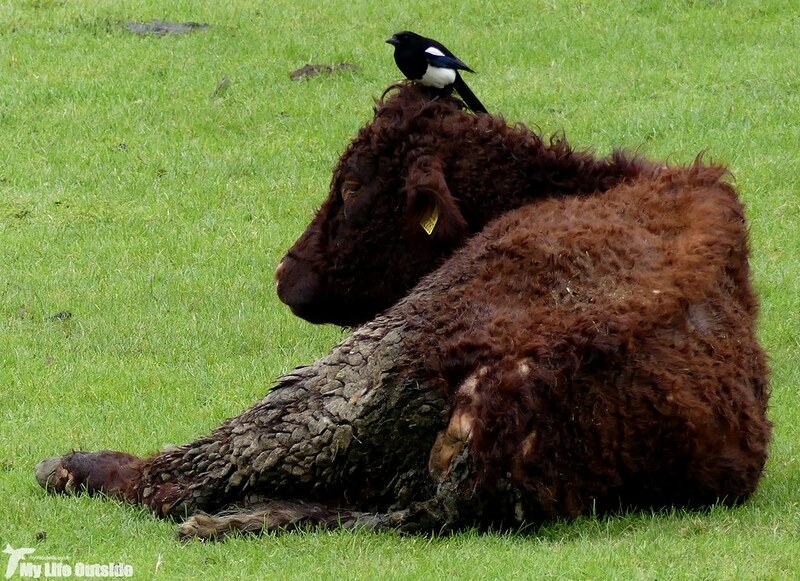 I’ve seen similar behaviour involving Sheep in the past, that’s Magpies on Sheep of course not Sheep on Cows, but this bird was being incredibly cheeky, even riding atop one particular animals head. The remainder of the walk took us back along the bottom of the limestone escarpment but lighting was by now so dull that it wasn’t worth photographing. 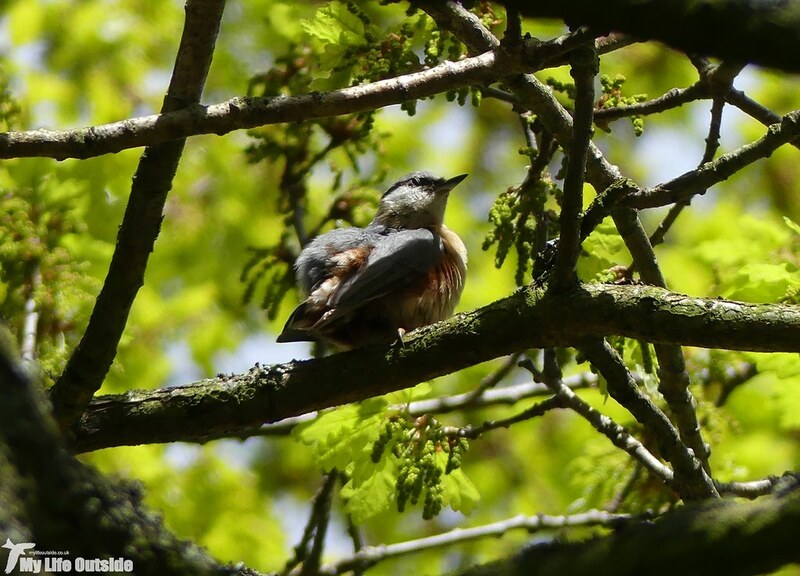 Instead we spent our time searching the numerous patches of scrubby vegetation and groves of trees which line its lower slopes, turning up numerous Redstarts in the process. None were being particularly cooperative but it was great to see a pair going into a hollowed out tree trunk, sure signs that nesting is under way. Bank Holiday Monday dawned as you’d expect, that is to say dull and damp. My first calling Wood Warbler of the year was however a great start and as we set off along the canal once more we had the place almost entirely to ourselves. A slight mist hung in the valley and with clouds obscuring the nearest peaks it all felt distinctly Welsh. I loved it. 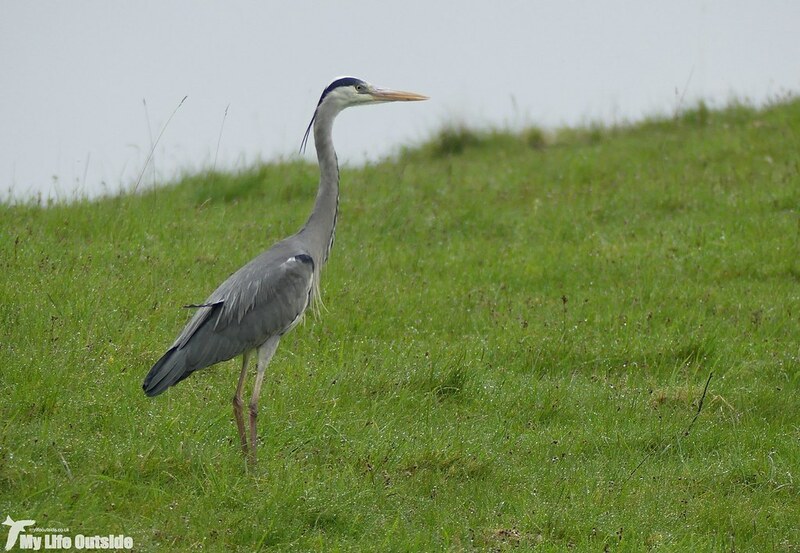 A few early morning boaters were already underway causing a Grey Heron fishing from the tow path to take flight and land in a nearby field. 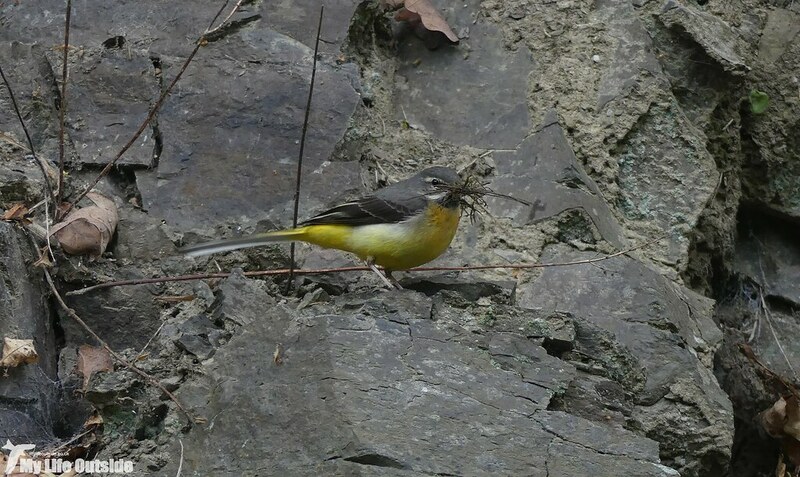 He wasn’t our only avian companion either with Willow Warblers already in fine voice and a nice pair of Grey Wagtails collecting nesting material near Llangollen. 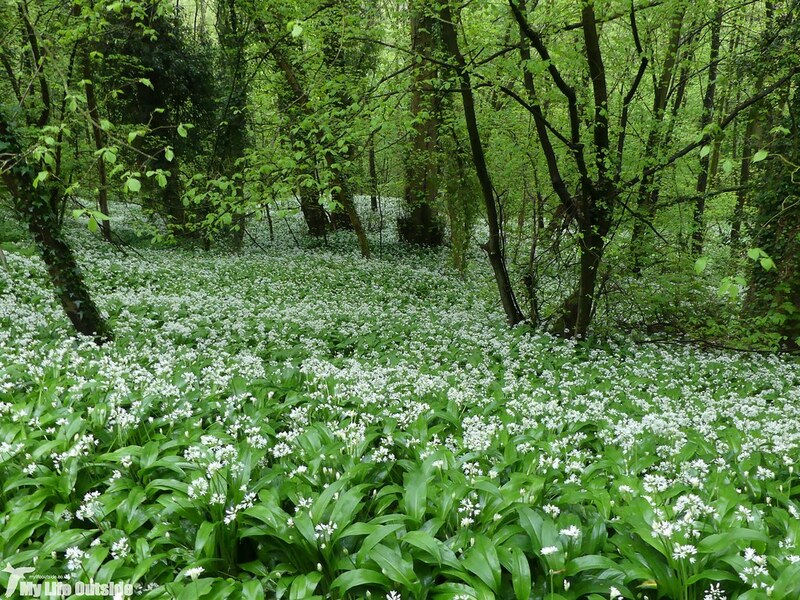 The banks of wild Garlic were pretty impressive as well. Our walk today was to be the four miles from Trevor to Llangollen itself where we planned to enjoy a train ride on the railway of the same name. It’s been years since I last rode the rails here and I’m pleased to say that it was as enjoyable as I remembered. 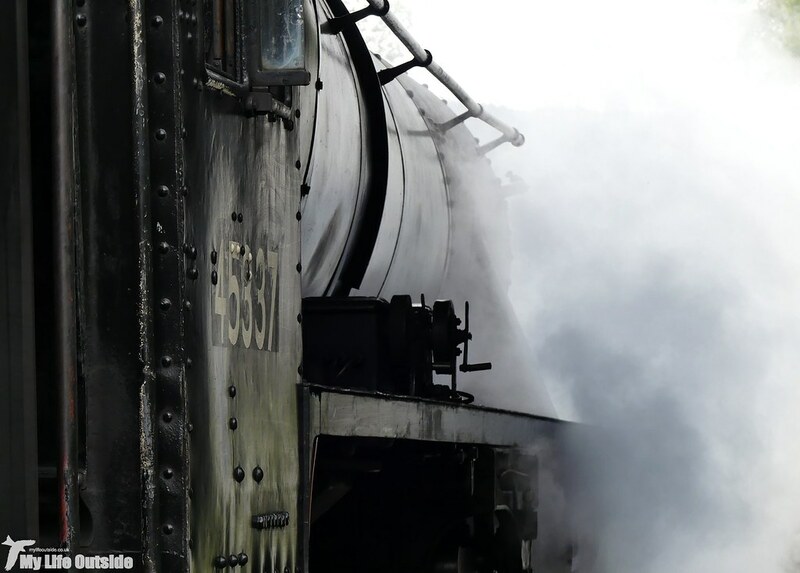 Walking briskly from one end of the platform to the other to take photos as the loco ran around I couldn’t help but see my father in me. It appears that I have been taught well. By the time it came to walk back to the car conditions had brightened considerably with the sun blazing and temperatures bordering on hot. When was the last time I could genuinely say that? 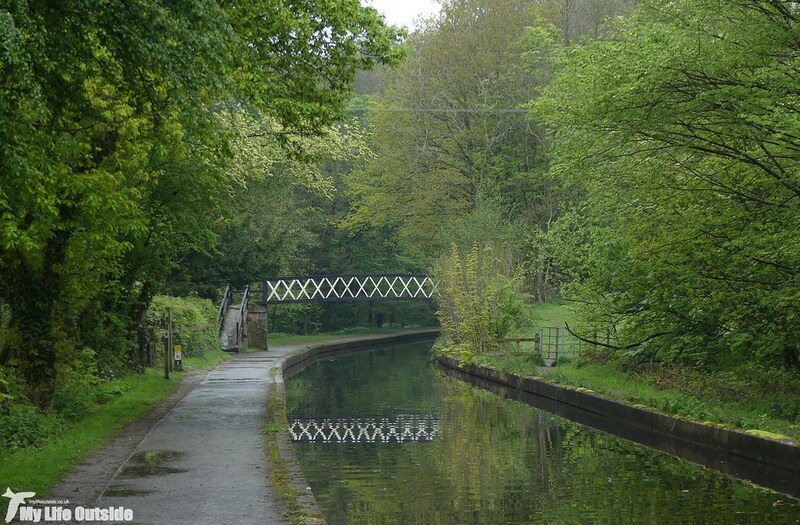 Of course the nice weather had also brought out the masses meaning a continuous stream of boats heading towards Llangollen and walkers and cyclists using the tow-path in their droves. Even so there were still moments of tranquillity to be found such as this preening Nuthatch perched high above our heads. Alas all good things must come to an end and our arrival in Trevor concluded our time away. All that faced us now was three hours of bank holiday traffic. Plenty of time to start plotting our next adventure.